As London Fashion Week drew to a close, Tom and Ruth Chapman of MATCHESFASHION.COM and Alexandra Shulman co-hosted a cocktail party at the elegant Matches Townhouse in honour of the publication of VOGUE - VOICE OF A CENTURY. Guests included British fashion designers Luella Bartley, Alice Temperley and Zandra Rhodes and many of the book's contributors, including artist Sir Peter Blake, photographer David Montgomery, fashion editor Bay Garnett, models Pattie Boyd and Penelope Tree, hairdresser John Frieda and make-up artist Barbara Daly. The walls were filled with framed spreads from the book and copies were available to both browse and buy. 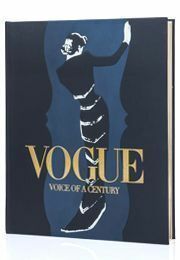 To find out more about VOGUE - VOICE OF A CENTURY and order your signed copy, click here.